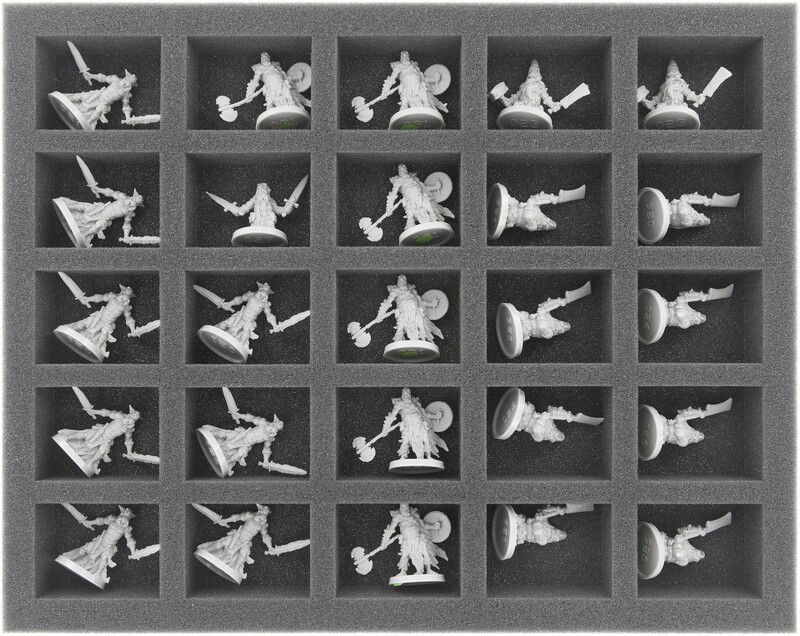 Foam tray with 25 large cut-outs. Cut out dimension: 54mm x 41 mm. 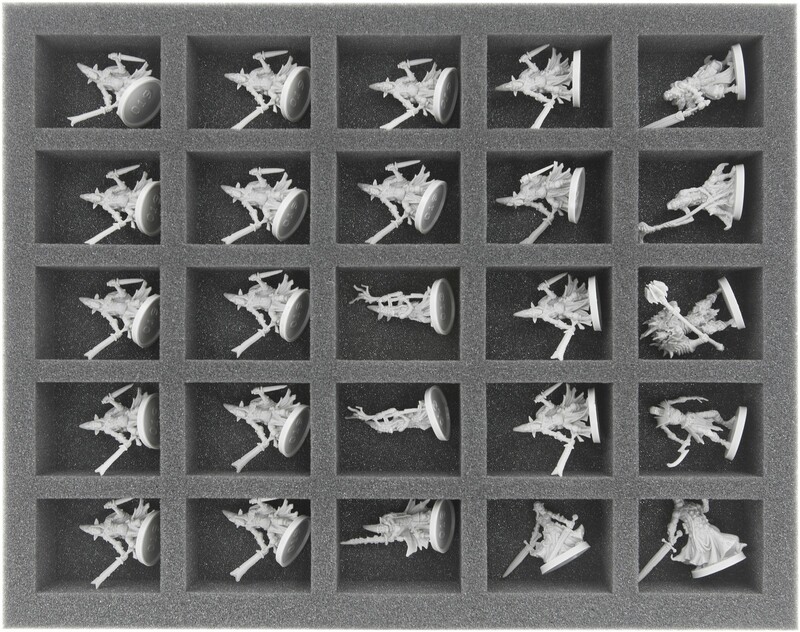 Foam tray with 25 large cut-outs for Massive Darkness. 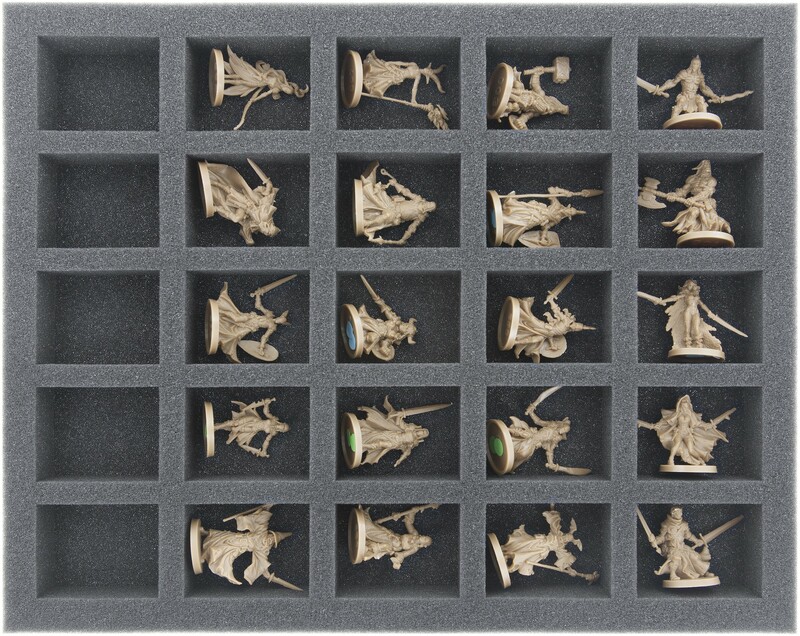 Cut out dimension: 54mm x 41 mm - fits nearly all large miniatures on 25 mm base. 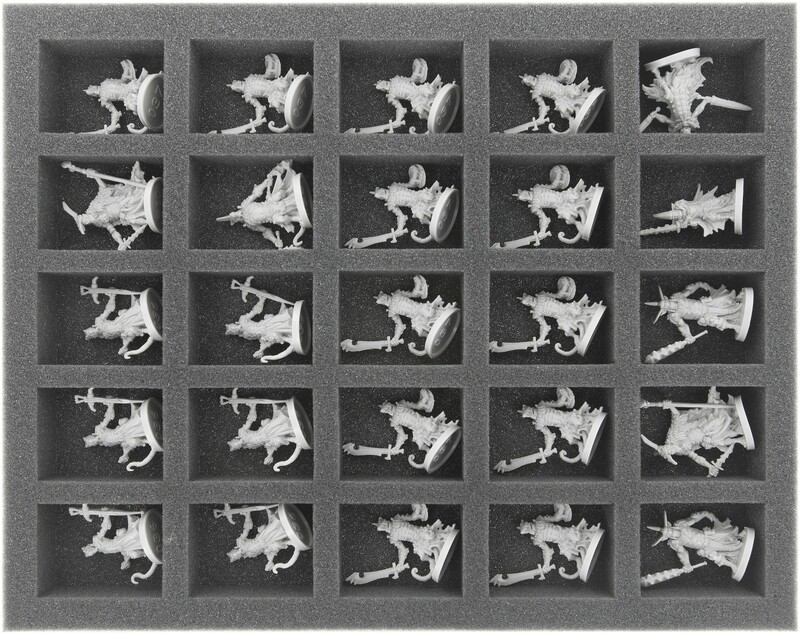 Ready to use - glued 10 mm foam base. ​The 35 mm depth of the foam is result from 10 mm foam base and slot foam tray with 25 mm effective depth. 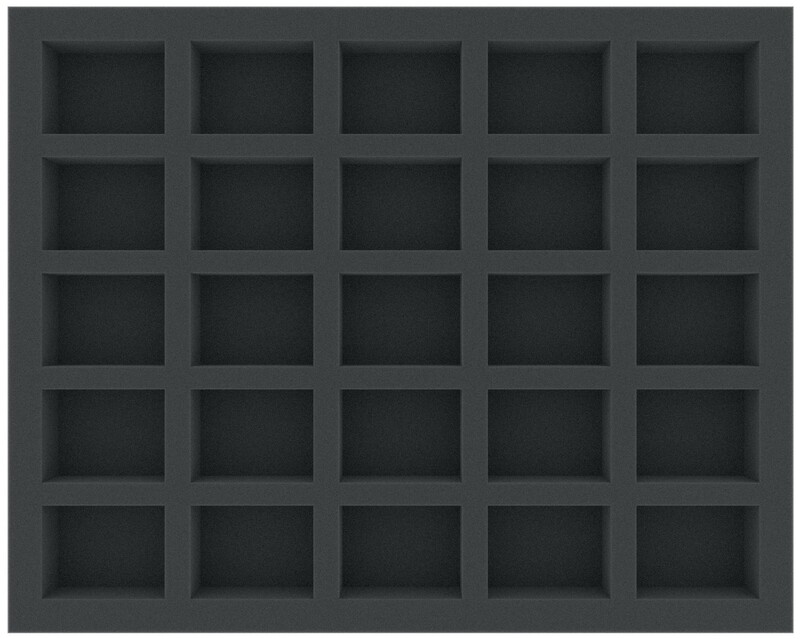 The offered full-size foam tray fits into our Feldherr bags, hard cases and storage boxes.